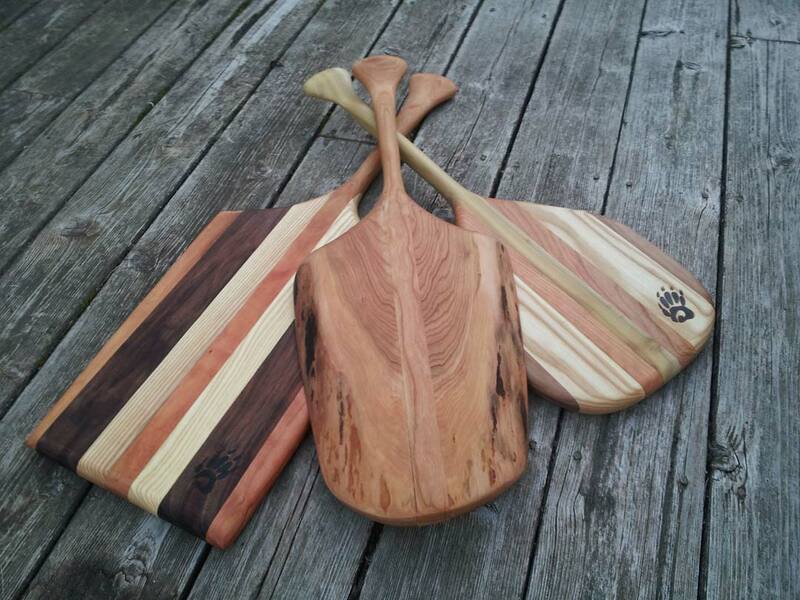 Stay up to date with Badger Paddle news, special offers and new product information. 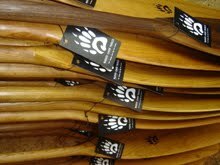 Badger Canoe Paddles - For those who dig the water. 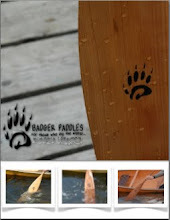 For more information please visit our website at badgerpaddles.com or email us at info@badgerpaddles.com. The Paddle In The Park Contest is back for 2015! Not too long ago, the paddling world became entranced with the special effects photography created by Stephen Orlando of Motion Exposure. 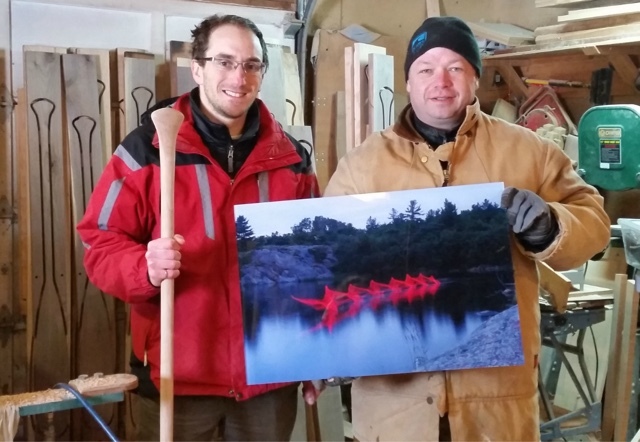 For a while, there was not a day that would go by that we did not see Stephen's beautiful pictures pop up in our social media feeds, shared by our various paddling friends and contacts. Somehow, he masterfully mixes modern light exposure technology with a traditional activity that involves movement, such as canoeing, with stunningly brilliant results... sometimes it looks almost as if the light is actually moving and dancing across the image. It is really no wonder that Stephen and his Motion Exposure photography went viral. 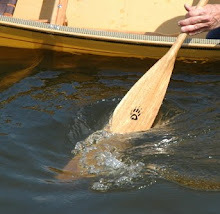 We had never seen paddling represented in such a visually interesting way before, and Stephen's photographs were revered by our online paddling community. Mike and I decided we just had to get our paws on our own Motion Exposure print! We were also lucky enough to arrange a scheduled visit at the Badger sett where Stephen was to deliver a special Motion Exposure print to us. It is actually one of Stephen's beautiful images, printed directly onto a piece of plexiglass (eliminating the need for a frame). And it is even more brilliant and beautiful in person than we could have ever imagined it be, especially after viewing the same image online! The extraordinary visual contrast between the cool blue water and the fire red path of the paddle, along with the interesting use of technology in a wilderness setting with a fantastical result, truly invokes the imagination all while celebrating the universal relationship between modern-day technology and our natural world. 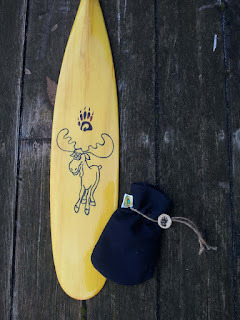 An extra surprise, that came with the visit, was when Stephen learned about the Paddle In The Park Contest and was on board right away to be a sponsor for 2016! You just got to dig that - we sure do! If you haven't had the chance to see Stephen Orlando's unique photography, or are interested in purchasing a print of your favourite photo, visit his website gallery, follow him on Facebook etc., and be prepared to be visually amazed. A special thanks to Stephen for stopping by the Badger shop with his special delivery, and for making all of our lives a little brighter with his imagination and originality! A Few Of Our Favourite Things! 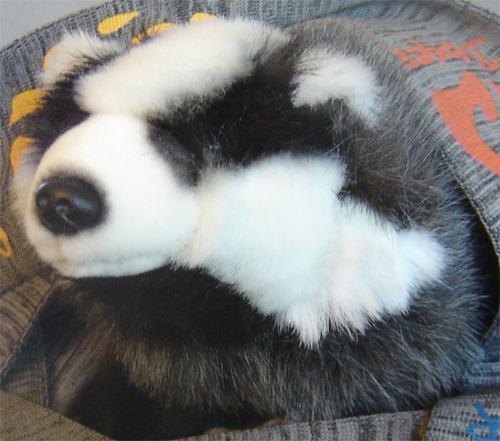 It may have been a long while since our last blog post, but that does not mean that we have not been busy Badgers. In fact, we've been so busy that we have been too busy to talk about it! 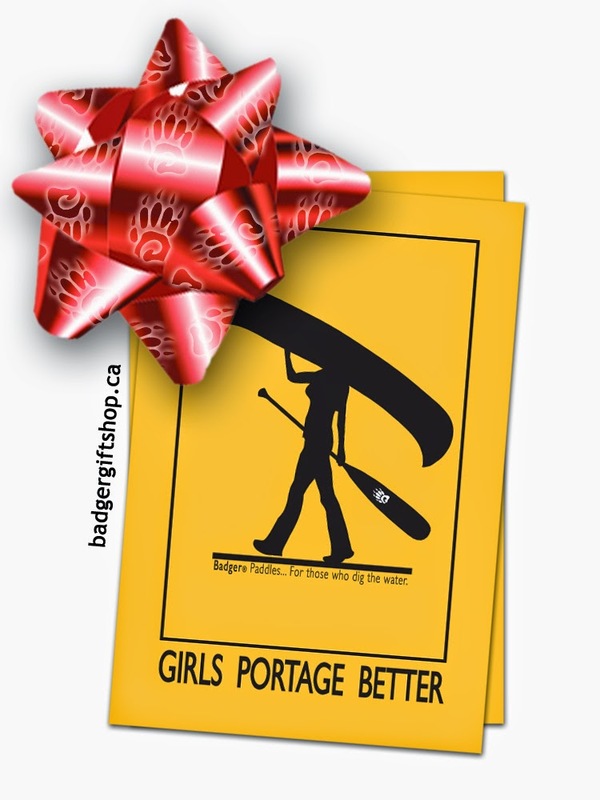 But thankfully, we have found a few moments to mark the holiday season that is fast approaching with a "few of our favourite things" we have listed on the Badger Gift Shop because... well.... the Season 'tis alive withthe "Sound of Music" so why don't you just sing it with us?! Paddles with owls and moose and fox kittens. Bright coloured crayons and dry-erase mittens. So here are a few of our favourite things. 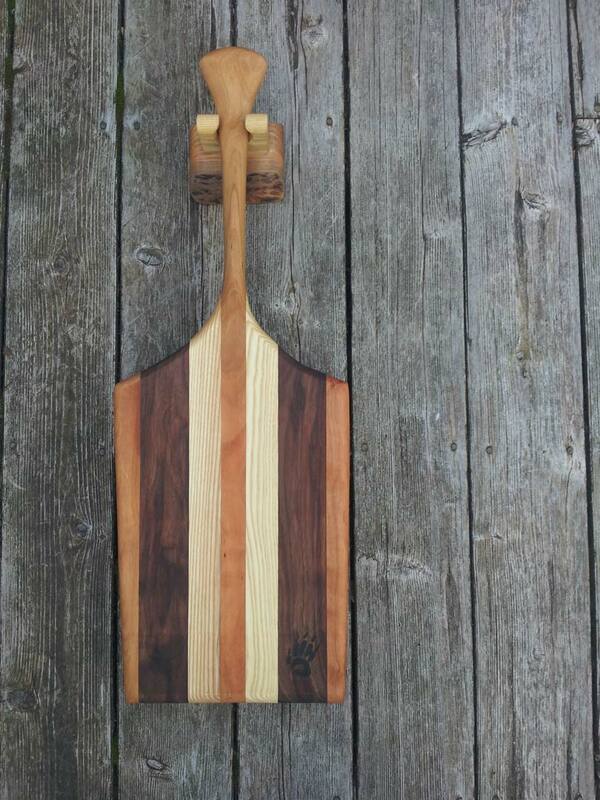 Socks, racks, and decals and cutting board paddles. 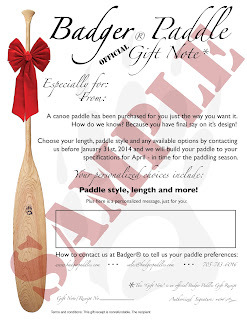 Gift notes that save you the hassle and battle. All of our paddles 'n the songs that they sing. Yes, these are a few of our favorite things! With no spot for your car. And you'll be a gift-giving star! LAST ONE IN STOCK - SPECIAL HOLIDAY PRICE! "Beasts!" Cub Colouring Paddle for kids! 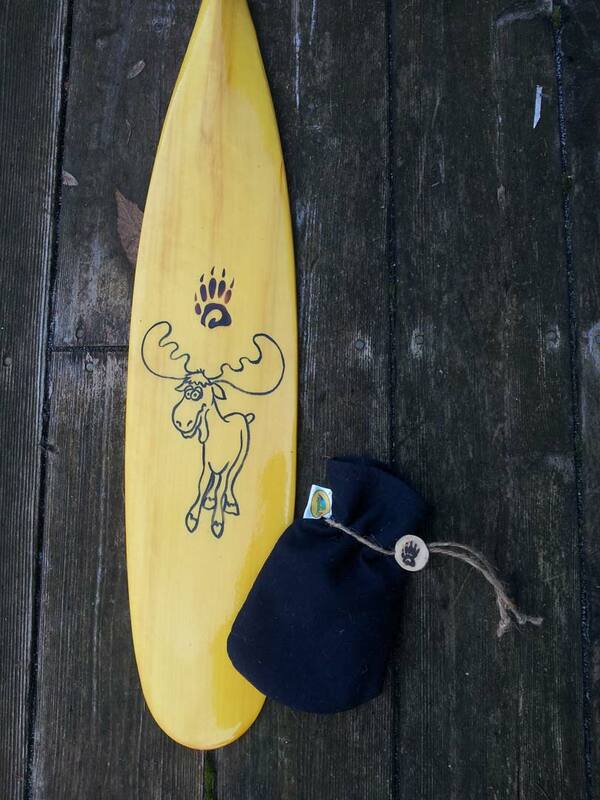 One side depicts a Moose with room for sketching and scribbling. 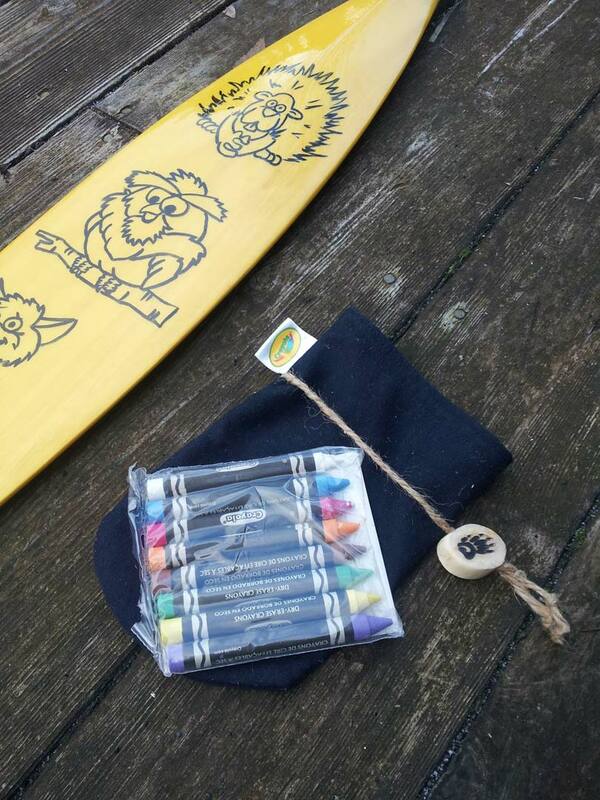 cloth pouch of dry-erase crayons! The other side depicts a Beaver, an Owl and a Fox! 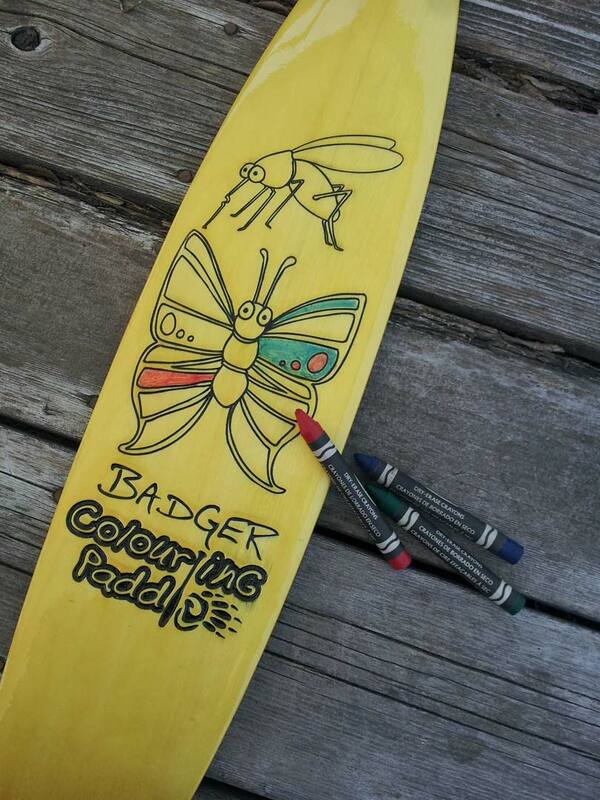 Colour at camp and paddle the canoe! ONLY ONE IN STOCK - SPECIAL HOLIDAY PRICE! 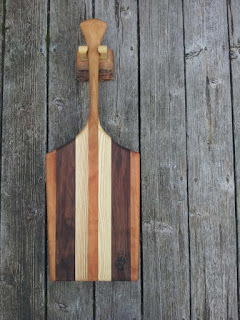 For more Paddle Cutting Boards by Badger, visit The Wooden Penny in Huntsville, ON. Great stocking stuffers: SPECIAL HOLIDAY PRICE! 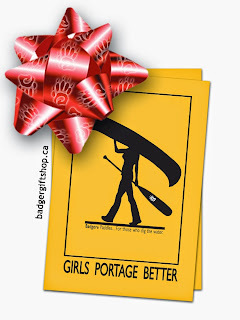 But we have saved the best until last... our Badger Gift Receipt. It's a gift so nice, you'll celebrate twice! 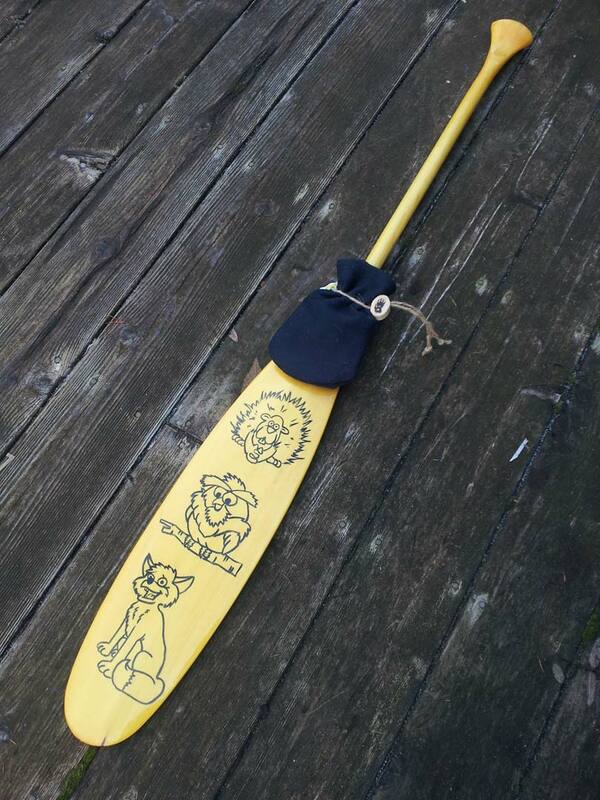 their own preferred Badger Canoe Paddle delivered in time for the spring thaw. PLUS, TAKE ADVANTAGE OF OUR SPECIAL HOLIDAY OFFER & GET A FREE HAND-PAINTED OR LASER ENGRAVED PERSONALIZATION ($30 VALUE)! We hope you dig these things as much as we do. Merry Christmas and Season's Greetings to you and yours, and happy shopping too! Happy Holidays from "Digger" and the rest of our Badger family. 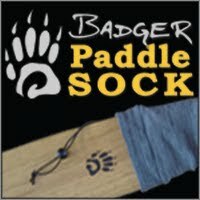 Badger Paddle Socks... for those who dig their gear. 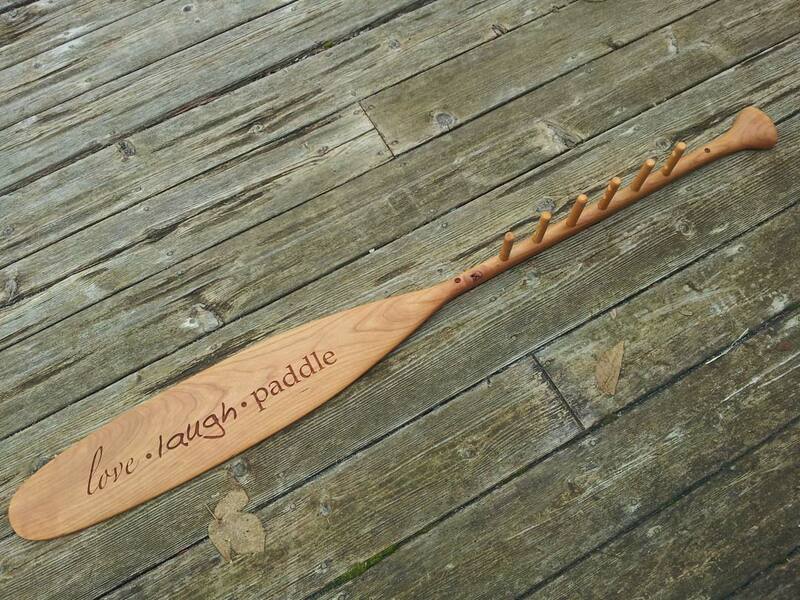 **NEW** Compact, lightweight, stretches to fit almost any style paddle up to 65" in length. Click on the image to visit the official Badger Paddle Sock website. Click on the above picture for a map of our list of retailers. Click on the catalog image to start your download. Our catalog is a 2 MB PDF file.